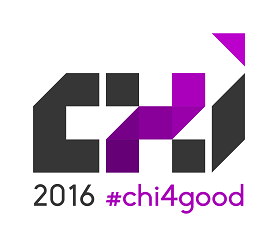 The CHI 2016 conference is excited to host its first lunch@chi this year. Taking inspiration from similar events at other conferences, we’ll be matching junior researchers just beginning to contribute to the HCI community with researchers who’ve been thinking and writing in this space for years or decades. You’ll get the chance to form lasting relationships with people you might not have otherwise had the opportunity to meet in the hustle and bustle of a conference consisting of thousands of people. We hope this lunch will prove to be a unique opportunity for you to get to know people at myriad points in their careers and at various institutions. If you sign up, we’ll place you in a small group with other researchers who share an interest in a topic. 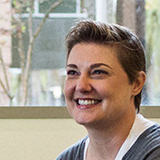 Then, you’ll get lunch together and chat about the lunch topic (or whatever else you want!). It will be held at the lunch break on Monday, May 9th. We will find and book restaurants for you. Everyone will pay for their own meals. Lunches will be capped at 8 people, including the host(s). Groups between 4-6 people will be confirmed for the date. Groups of 3 or fewer will be removed or encouraged to combine. Sign up when you register for the conference. If you’ve already registered, you can still join in – just use the link on your confirmation email to add a lunch@chi! If you have any questions, feedback or suggestion, we would like to hear from you. Please contact us at lunch@chi2016.acm.org.